What is a European Company? 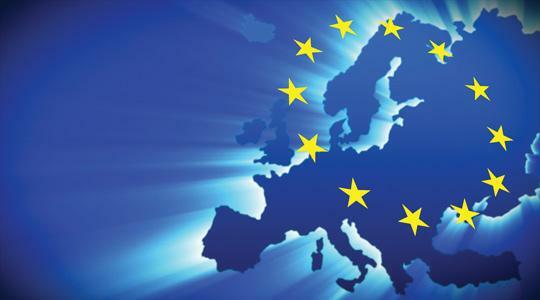 A European Company is a type of limited-liability Company that follows the European Union legislation and helps the owner run his business easier if he is active in more than one country in the European Union. This type of legal forms of companies is the best choice for those who run activities in more countries and it needs to be created under the law of one European Union state member and have subsidiaries in other country than the headquarters. It is mandatory to have the headquarters and registered offices in the same country, no matter what the country is, but some states require them to have the same address as well. In addition, the subscribed capital that must be divided into shares is 120.000 EUR. First thing that must be done is to agree with your employees on the process of supervising your company’s activity. You need to set precise rules that must be followed before going further. There are several ways to set up a European Company depending on your current status. For instance, two or more public or private limited liability companies can form a holding company, but they need to be from different countries in the European Union or have had branches of subsidiaries older than two years in other country. This is also valid for any legal bodies, firms or companies if they want to form a subsidiary. Another way to open a European Society, for those who own one or more limited liability companies, is to merge with another company that has its headquarters in a different European Union country. On the other hand, if you have a public limited liability company you can use conversion to form and European company in Romania. You only need to have a subsidiary here in Romania for more than two years. In addition, a European company can have as many subsidiaries as possible that will also be European companies. After registration of the European company, the registered office and the transfer need to be published in the Official Journal of the European Union. winging up are regulated by the country in which the company has the registered office, so you can choose the country that is more suited to your financial and procedural needs. In conclusion, founding and European company to run business in more European countries is the cheapest and most convenient way. One tier-system: here, the management consists into and administrative body, have a chairman appointed from one of the members, and the members must meet quarterly at least. Two tier-system: where the management must be formed by a supervisory body and a management body, and no one can be member of both bodies. The management needs to report to the supervisory body quarterly at least and send any important data or information as soon as possible. Finally, if decided to move your registered office to another European Union country, you won’t be needing to dissolve your company in the process, you just need to send a transfer proposal to be published in the EU Official Journal. Please feel free to contact us for more details about how to open an European Company. Pentru versiunea in romana a acestui articol, va rugam sa vizitati Infiintare Companie Europeana.